I finally got my computer back, but its in the process of being restored, so posts and pictures on alternate computers for a bit longer. 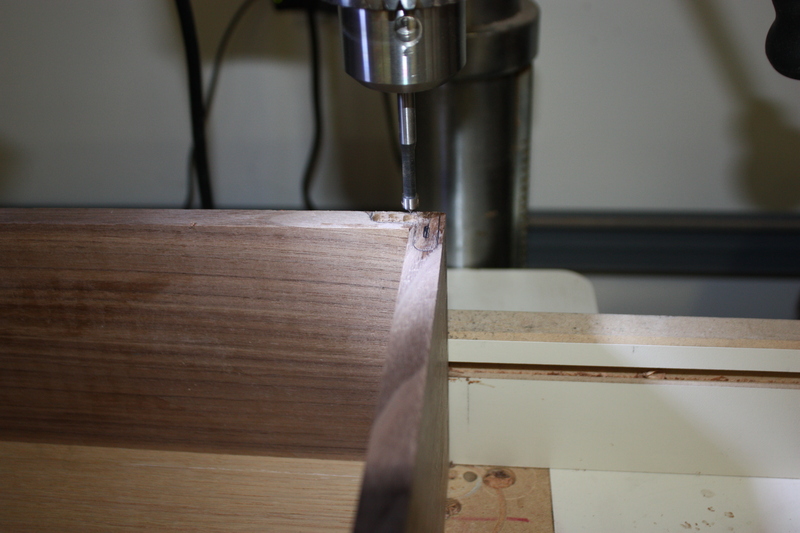 Drilling out the waste for the hinges on the drill press. 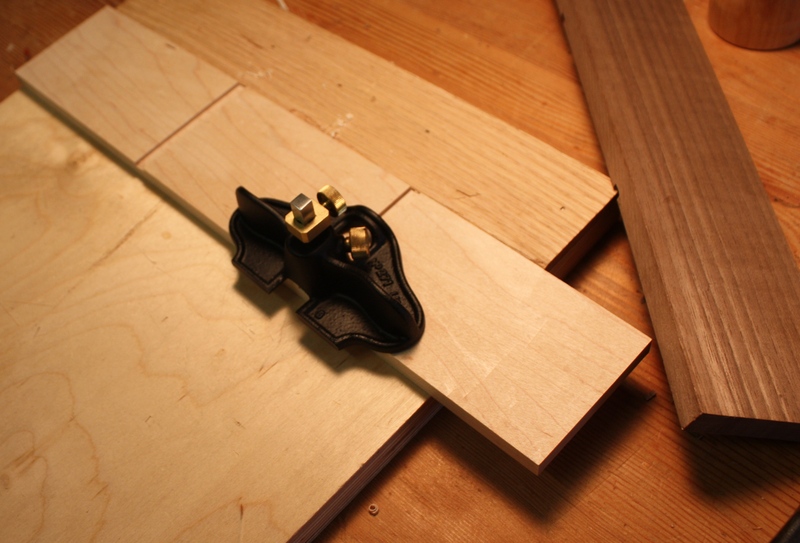 Trimiming the internals for the perfect fit with my hand tools. 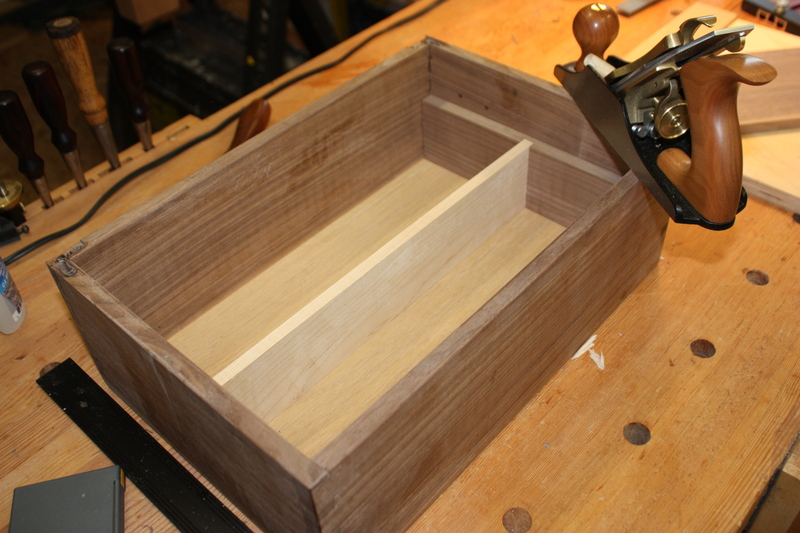 Fitting the dividers into small dados to make the compartments. 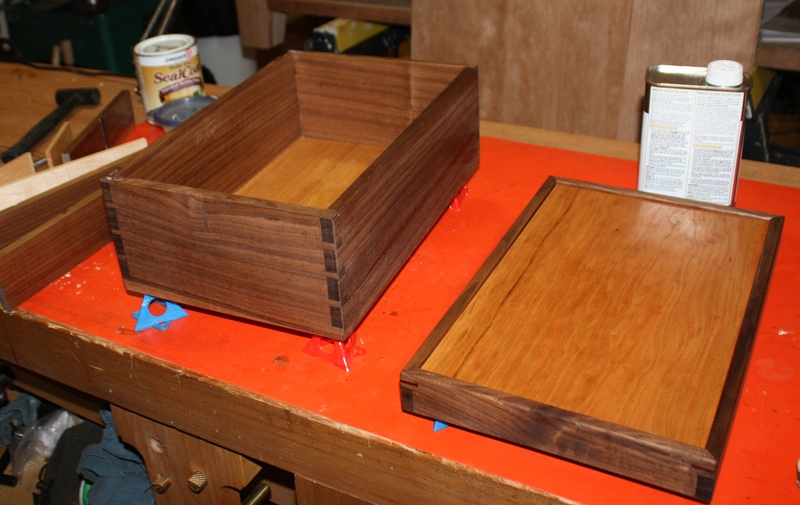 I decided on a sanded in Danish oil finish (thanks for the suggestion Tico). This entry was posted in jewelry box and tagged quarter sawn, walnut. Bookmark the permalink. Looks beautiful. Did you design this yourself or get it based off something? 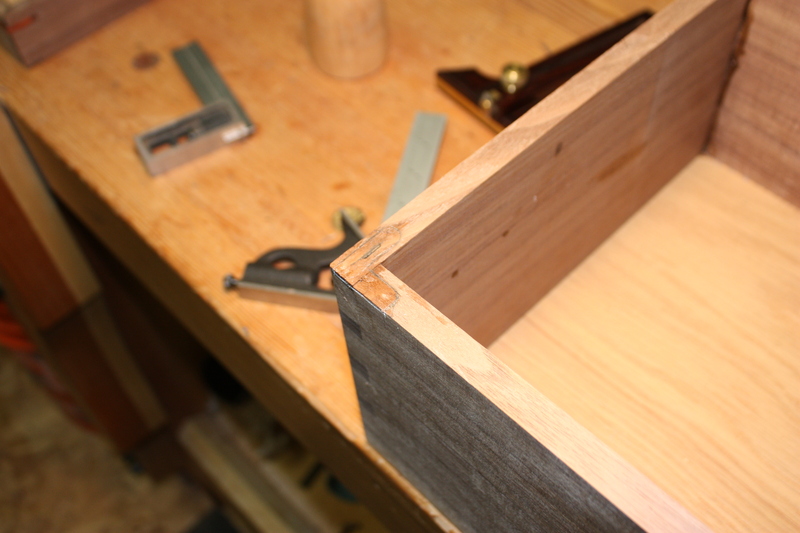 I like the scale and think it’s a good way to practice handcut dovetails and still end up with a usable project at the end.